“The rapid growth of research on 2D materials – materials such as graphene and others that are a single or few atoms thick – is fueled by the hope of developing better performing sensors for health and environment, more economical solar energy, and higher performing and more energy efficient electronics than is possible with current silicon electronics. An invited article in the December online edition of the journal 2D Materials provides a roadmap for the synthesis of electronic-grade two-dimensional materials for future electronic and sensing applications. Led by Penn State, with contributions from five additional universities and national laboratories, the roadmap addresses the grand challenges in 2D materials with useful electronic or photonic properties, and the outlook for U.S. advances in the field. “This article is a review of where we currently are in regard to the synthesis of 2D materials and our thoughts on the top research priorities that need to be addressed to achieve electronic grade 2D materials,” said Joshua Robinson, associate professor of materials science and engineering, whose Ph.D. students Natalie Briggs and Shruti Subramanian are co-lead authors on the report titled “A Roadmap for Electronic Grade 2-Dimensional Materials,” published online today, Jan. 17. 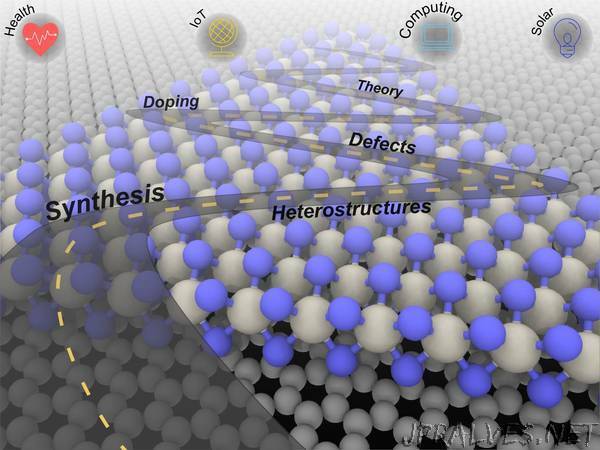 The authors divided the paper into four parts: Grand Challenges, which are the technology drivers, such as the internet of things; Synthesis, the techniques and theories required to grow close to perfect 2D materials; Materials Engineering, which is fine tuning the properties of 2D and composite materials; and finally, Outlook, which is the future of electronic devices when silicon technology reaches an inevitable roadblock. A list of the twenty authors and their affiliations can be found online in the open access article in 2D Materials.